(Bloomberg) – The rand’s wild swings whenever there is good or bad news elsewhere in the developing world is due to its status as a proxy for emerging markets, rather than to domestic factors, said Francois Groepe, a deputy governor at the South African Reserve Bank. The South African currency is about the 16th most-heavily traded currency globally, while the economy ranks at about 32nd or 33rd, Groepe told editors at a lunch in Johannesburg yesterday. Spot turnover in the rand is equivalent to about $4bn daily, while total turnover is as high as $17bn, he said. 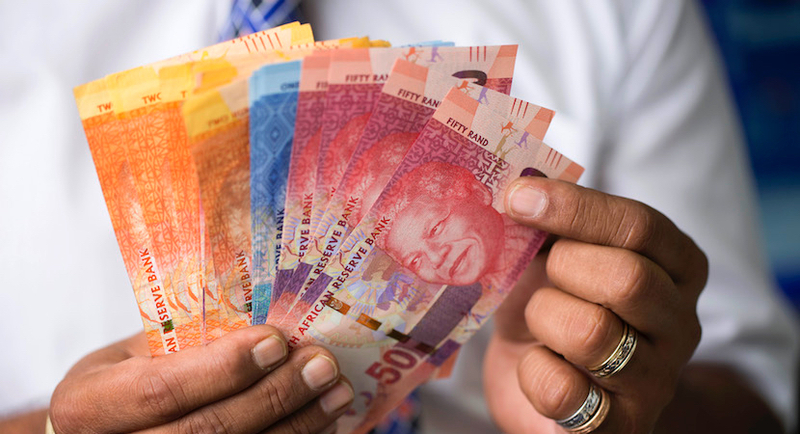 The volatility of the rand, due in part to the liquidity of South Africa’s comparatively deep financial markets, makes forward planning difficult for businesses who pay their costs or derive their revenue in foreign currency. It also bedevils policy making as it is a significant inflation risk, according to the central bank. The currency’s one-month realised volatility versus the dollar climbed as high as 26% during Turkey’s currency crisis in September, third only to that country’s lira and the Argentinian peso, according to data compiled by Bloomberg. Price swings have since dropped to 15.8%, still the third-highest among emerging-market peers. The South African currency is heading for its best performance in November in 30 years, having gained 8.2% against the dollar. Still, it’s 9.4% down so far this year.